This chapter explores the development and subconscious expressions of microaggressive behaviors and language that are embodied throughout life. The authors introduce microaggression (Sue, 2010) as a culturally embodied element of experiences that often are expressed overtly by teachers within classrooms. These microaggressive actions most often occur in teacher interactions with marginalized students and without intent to offend, yet offending the recipient all the same. This chapter concludes with an outline of ways in which teacher education programs can build upon the framework of “care” (Pang, Stein, Gomez, Matas & Shimogori, 2011) that often underlies teacher candidates' desire to enter the profession in order to help them recognize and deal with embodied values that result in microaggressive acts in the classroom. Claire is a great young lady, whose parents are very proud of her. She lives in a quaint suburban neighborhood where she has attended a Montessori elementary school and a private middle and high school. Claire’s mother is a high school teacher and her father is the local dentist. Her parents are very nurturing to Claire and her younger brother. Claire’s home has always been her sanctuary where she has everything she needs to feel secure and to succeed: food, clothes, her own room, books, and technology. Claire has always enjoyed reading and her parents have bought so many books that Claire has outgrown the bookshelf in her room and has already filled one of the shelves in her parents’ home office. Claire and her brother have been immersed in a variety of fun and challenging activities such as French classes, ballet, piano, Cricket and gymnastics. Her family has also travelled extensively. When Claire was a fifteen year old sophomore in high school she was given the opportunity to work with a community school in South Africa where she helped mothers read to their daughters. She returned home with a newly sparked interest in teaching and decided this would be her major in college.It was critical to help children from poor communities have access to books. Claire knew the pleasure she found in reading and wanted to help others learn to read. Chiesha is a great young lady who works hard in school. Chiesha lives with her mother and her grandmother in a 3 bedroom apartment in the Anderson Homes community. Chiesha’s family has lived in the same neighborhood for three generations. Chiesha has one younger sister and two younger brothers; she has never met her father but her mother told her he was in prison. Chiesha is 15 years old and is in the 10th grade. She does okay in school but could do better if she could focus on school. Chiesha’s grandmother is ill with diabetes and her mother works the night shift at the local call center which makes it Chiesha’s responsibility to take care of her younger siblings. Chiesha is very responsible; however she lacks some of the support she needs to be successful in school. There are few books in her home and her family does not own a computer. There is no library in their community and it would require transferring three times on the bus to get to the closest one. Chiesha often goes to bed hungry because she makes sure that her siblings and grandmother eat first and with the bare cabinets there just isn’t enough. Chiesha’s mother and grandmother love the children very much, but the minimum wage her mother earns and the fixed income of her grandmother are not enough to sustain the family for the month after they pay the rent, utilities and medical expenses. Chiesha wants to be a teacher but is not sure what she needs to do to become one. These stories are general in their context and are presented as guides to help demonstrate how life defines one’s values and beliefs both culturally and socially and how those beliefs evolve into microaggressive expressions without intent to demean. How will Claire’s experiences propel her into a mindset of “entitlement” and Chiesha’s cause her to develop the mindset that she “should be grateful for a chance”? What messages will these future teachers embody that will lead to an unconscious projection of values and beliefs (microaggressions) on those they teach? 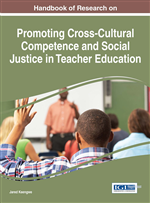 This chapter will explore the following questions, providing theoretical perspectives on the development and manifestations of microaggressive behaviors in teachers and providing discussion and strategies on how teacher preparation programs can intervene with strategies that will combat and potentially minimize or eliminate microaggresive acts in the classroom. What is embodied cultural capital and how is it developed? What is the significance of race, class and gender in embodied cultural capital? What are the different types of microaggression? How do teacher beliefs impact the learning environment? How might teacher preparation programs minimize microaggression in the classroom? What are some teaching strategies that may help the teacher candidate become cognizant of what he/she may project onto his/her population of students? Microinsults: Unconscious verbal, nonverbal, and environmental communications that subtly convey rudeness and insensitivity that demean a person's heritage or identity. Embodied Culture: Spirit and fulfillment of values, beliefs and existence through thoughts, perceptions and actions that are shared within a cultural group. Microaggression: Subtle, verbal and nonverbal slights, insults, indignities, and denigrating messages directed toward an individual due to their group membership, often automatically and unconsciously. Marginalized: Further from the center of what is accepted as “normal”, being on the extremes of society i.e. both the financially impoverished and financially wealthy are marginalized where the middle income earners set the norm. Preservice Teachers/Candidates: College students who are enrolled in a teacher preparation program and are engaged in school-based field experience. Embody: Make something concrete, or to give it purpose. Microinvalidations: Communications that subtly exclude, negate or nullify the thoughts, feelings or experiential reality of a person’s identity. Cultural Capital: The non-financial assets that promote social mobility within and between cultures. Microassaults: Conscious and intentional discriminatory actions on one’s identity. Metacognition: Awareness and understanding of one's conscious, subconscious and unconscious thought processes.